Auf dem Musikmarkt tut sich was. Insbesondere weil selbst bei etablierten Acts von den Streamingeinnahmen fast nichts beim Künstler ankommt, sprießen blockchainbasierte Musikplattformen aktuell wie Pilze aus dem Boden. Aber auch wenn – so wie bei uns – der Fokus nicht auf dem Erzielen von Einnahmen liegt, sind Spotify & Co. für Independent Bands nicht die richtige Adresse, weil man in der Masse der Veröffentlichungen einfach nur untergeht. Kein Denken daran, dort eine tragfähige Fanbase aufzubauen. Außerdem benötigt man als Künstler ohne Label auch noch einen kostenpflichtigen digitalen Musikvertrieb sozusagen als Zwischeninstanz um auf den gängigen Streamingportalen präsent zu sein. Eine Lösung bietet vielleicht gerade das nerdige Thema Kryptowährungen. Wir sind Musiker und wahrhaftig keine IT-Experten, haben also wenig Ahnung von den technischen Details. Wir von The J Conspiracy sind dann aber so weit neugierig geworden, dass unsere Songs jetzt bei zwei dieser neuen Anbieter zu finden sind: Musicoin & Choon. Was haben wir und was haben Musikhörer davon? Aus Musikersicht klingt es zunächst mal recht einfach: Neue Hörer! Schließlich ist das der Grund, warum man das ganze macht: Eben nicht nur für sich selbst, sondern auch, weil man Menschen erreichen möchte. Stand November 2018 sind das für The J Conspiracy bei Musicoin bislang ca. 700 und bei Choon gut 750 Streams. 😀 Für die Hörer ist das ganze zunächst mal ein kostenloses Vergnügen. Auf eingebetteten Playern so wie hier reicht ein Klick auf Play. Beide Plattformen versuchen auch die Interaktion zwischen Hörern und Musikern durch Kommentarfunktion und Social Sharing zu erleichtern. Wir von The J Conspiracy sehen gerade hierin eine tolle Möglichkeit sich mit den Hörern und anderen Acts auszutauschen und die eigene Fanbase zu erweitern. Ein klares Plus. Ein toller Ort für noch mehr Feedback, Interaktion und Unterstützung in Bezug auf Krypto & Musik, Werbung auf neuen Plattformen wie Steemit, Whaleshares und vieles mehr ist ACR. Hier könnt ihr nicht nur Independent-Künstler unterstützen, sondern euch auch an einer regen Community beteiligen. Und was steckt sonst noch hinter dem musikalischen Blockchain-Hype? Klar scheint, dass hier zunächst mal die Technologie und ein alternatives Bezahlsystem für Musik ausprobiert werden soll. Und ebenso offensichtlich ist, dass beide Plattformen noch im Beta-Stadium sind. Da gibt es also noch einiges zu verbessern sowohl optisch als auch vom Benutzererlebnis her. Ob sich grundsätzlich solche Kryptowährungen im Musikbusiness durchsetzen, wird die Zeit zeigen. Angeblich hat Apple Interesse am Musicoin als Zahlungsmittel. Ob dann schlussendlich auch etwas von der Utopie der besseren Chancen für alle Künstler übrigbleibt, oder wie so oft der große Platzhirsch am Ende bloß das kleine Start-Up mit der tollen Idee kauft und die großen Labels die Kontrolle behalten? Something interesting is happening on the music market. Blockchain-based music platforms are sprouting up like mushrooms from the ground, in particular because even established acts complain that almost nothing of the streaming revenue arrives at the artist. But even if – as here with us – the focus is not on earning revenue, Spotify & Co. are not the right place for independent bands, because you just vanish in the mass of releases. No thinking about building a sustainable fanbase there. In addition, as an artist without a label, you also need a fee-based digital music distribution, so to speak, as an intermediary to be present on the popular streaming portals. One solution might be the nerd topic cryptocurrencies. We are musicians and truly no IT experts, so we have little idea of ​​the technical details. However, we at The J Conspiracy became so curious that our songs can now be found at two of these new providers: Musicoin & Choon. What’s the benefit for us and for music listeners? From a musician’s point of view, it sounds quite simple: new listeners! After all, that’s one reason why you do it: not just for yourself, but also because you want to reach people. As of November 2018, this is for The J Conspiracy at Musicoin so far about 700 and at Choon over 750 streams. 😀 For listeners the whole thing is initially a free pleasure. On embedded players like the one in the german text above simply click on play button. If you want to discover new music on the website of Musicoin, which can be really exciting, then you have to sign up for free. Not even that is necessary with Choon. Apart from the fact that you can discover interesting new acts and rummage through various genres, with each streaming you support the participating artists: Musicoin has launched its own eponymous cryptocurrency MC, which can also be exchanged into other such currencies. Currently as a musician you get converted about $ 0.01 for each stream. The listener does not notice. Choon also has its own token NOTES. A platform-internal currency that is currently not traded. Again, each stream is rewarded without the listener currently having to pay for it. In addition, both providers make it possible to give the artists an additional tip. In the Musicoin player, this is done by clicking on the button with the two hands. 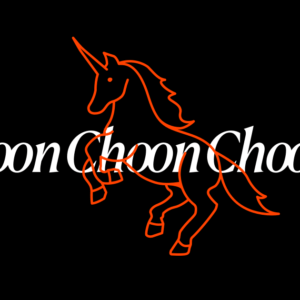 With Choon, such a tip is a prerequisite for leaving a comment in the artist’s profile. The amount of the grant is determined by yourself. Both platforms also try to facilitate interaction between listeners and musicians through commenting possibility and social sharing. We look at this as a great opportunity to talk to listeners and other acts and expand our fanbase. A clear „like it“. If you need more feedback, interaction and support concerning crypto&music, promotion on new platforms like steemit, whaleshares and many more, we strongly recommend to join ACR. A great place supporting independent artists with a strong community. What else lies behind the musical blockchain hype? It seems clear that first of all the technology and an alternative payment system for music should be tried out. And just as obvious is that both platforms are still in beta. So there is still much to improve both visually and concerning the user experience. Time will tell if it’s possible that such cryptocurrencies prevail in the music business. Allegedly Apple has interest in Musicoin as a means of payment. In the end, will there be something left of the utopia of better chances for all artists, or does the big top dog finally buys the small start-up with the great idea and keeps the big labels in control? Right now, many are stuck with the almost grassroots idea of ​​“everyone can publish everything here“ and it’s really fun to discover new musicians and songs. But it’s also a lot of work! Because by far not all productions meet professional standards and you really have to invest time to find the pearls in the offer for yourself. Choon hopes that this will be remedied by an extended playlist feature. Here you can put together your favorites and will also be rewarded: Does anyone listen to music in this playlist so even those who put them together, has a small share. This is set to 5% of the token to be issued by default. The artists can also grant more for their titles for advertising purposes. You can find some conspiratorial recommendations in a playlist embedded in the German text above. Dieser Eintrag wurde veröffentlicht in Allgemein | Common und verschlagwortet mit 11:11, Audio, Blockchain, Choon, Crypto, music distribution, Musiccoin, The Glass House . Lesezeichen auf den Permanentlink.